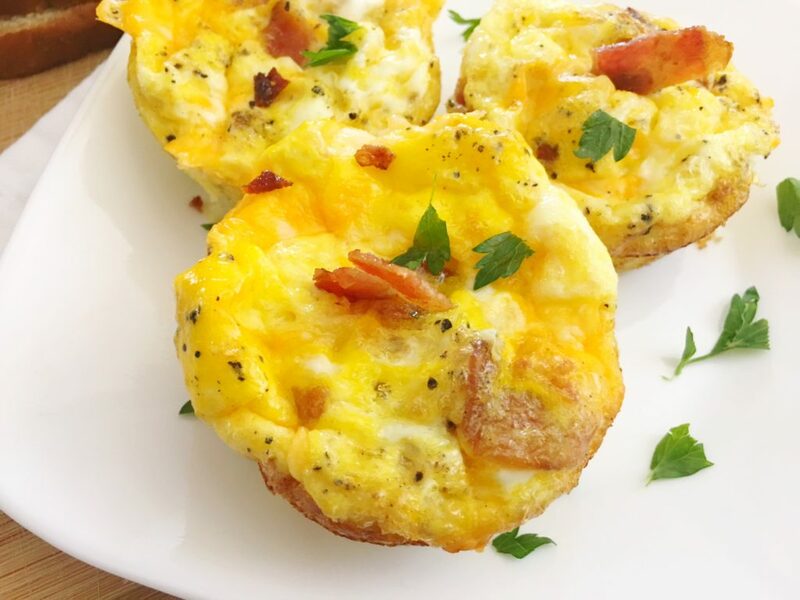 Quick & easy cheesy egg & bacon cups that your little picky eater will love for breakfast! Is your little one getting tired of cereal? Nope, I didn’t think so. Kids never seem to get tired of cereal. They can eat it morning, noon, and night! Well in this post, I’m going to share a recipe that you can serve along with their bowl cereal. We’re going to make cheesy egg & bacon cups! These breakfast cups are like mini omelets. However, they are so much easier to make. Instead of frying the eggs, they’re baked! Oh, and did I mention that you can make them ahead of time?! Yup! Make them ahead of time, freeze them, and zap them whenever you are ready to serve them! Save, and share this recipe on Pinterest! Print the recipe below, and subscribe to our mailing list! 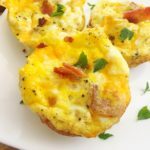 Easy mini omelet cups that you can make ahead of time! Kids LOVE these! Spray a muffin pan with a nonstick cooking spray and set aside. Crack your eggs into a large mixing bowl and whisk with a little salt and pepper. 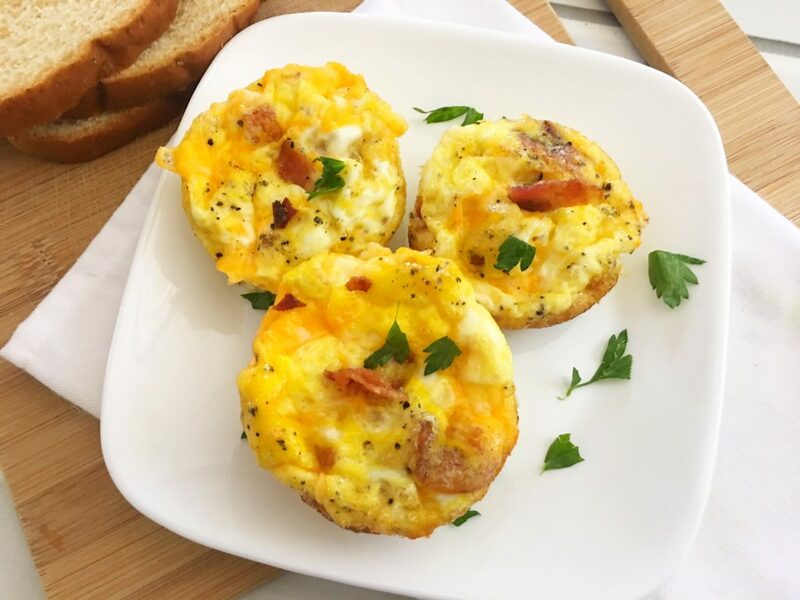 Place a 1/2 piece of chopped bacon in each muffin cup along with a tablespoon of shredded cheese. Fill your muffin cups with your whisked eggs and bake for 18-20 minutes.